«Backorder» is a service that attempts to register an expired domain name on behalf of an entity before someone else grabs it. The system automatically monitors dropping domains and registers them after the drop. No need to remember, to wait or to follow the desired domains – Ukrnames will register the domain for you at the best time! 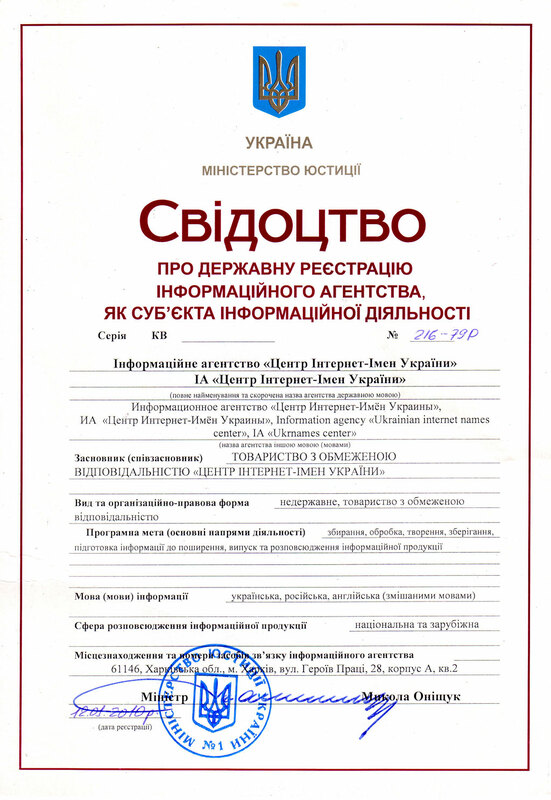 The service is provided for domains in: .com, .net, .org, .com.ua, .org.ua, in.ua, .kiev.ua, .chernigov.ua, .cn.ua, .chernovtsy.ua, .cv.ua, .ivano-frankivsk.ua, .if.ua, .kherson.ua, .ks.ua, .poltava.ua, .pl.ua, .rovno.ua, .rv.ua, .uzhgorod.ua, .uz.ua, .zt.ua, .zhitomir.ua, .in.ua, .od.ua, odessa.ua, .cherkassy.ua, .cherkasy.ua, .ck.ua, .dn.ua, .donetsk.ua, .kh.ua, .kharkov.ua, .kharkiv.ua, .lg.ua, .lugansk.ua, .net.ua, .sumy.ua, .sm.ua, .zaporizhzhe.ua, .zp.ua.